Village Animal Hospital is a full-service veterinary hospital located in Northwest Oklahoma City near the southeast corner of May and Hefner Road. Dr. Steven Giles and his staff work together to bring your pet the highest quality treatment in a warm caring environment. Pet owners who come to us for health care consider their animal friends to be members of the family. 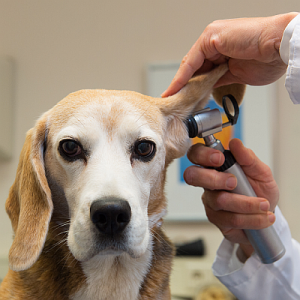 At Village Animal Hospital we know the importance of the human-pet relationship and understand that your trust in us gives us a very special responsibility. We hope that offering this web site will benefit you and your pet by providing helpful information and services. Copyright © 2005 Village Animal Hospital. All rights reserved. This site and content herein are published for use in the United States, and may not be used or downloaded in other countries.